Lenders on California real estate may owe duties to their borrowers -Part 1: Statement of Opinions can sometimes be relied on. California law has had a persistent rule that, when it comes to real estate loans, a lender does not own a borrower any duties beyond those expressed in the loan agreement, except those imposed due to special circumstances. Courts rarely find those special circumstances, and hold lenders and buyers to routine, arms-length transactions. Last year I discussed a lender who told the borrower to skip a payment. In a recent decision in Northern California, where there were ongoing disputes between the borrower and lender, and the lender made numerous representations that they would likely agree to a loan modification, a duty may have been created that could make the lender liable for its negligence. The court referenced the recent changes in law at both the state and federal level to protect homeowners (even though these rules did not apply in this case) indicate a policy to protect real estate borrowers from their lender’s negligence. Lenders and borrowers concerned with the question of lender’s duties and negligence should consult with a Sacramento and Yolo real estate loan attorney. 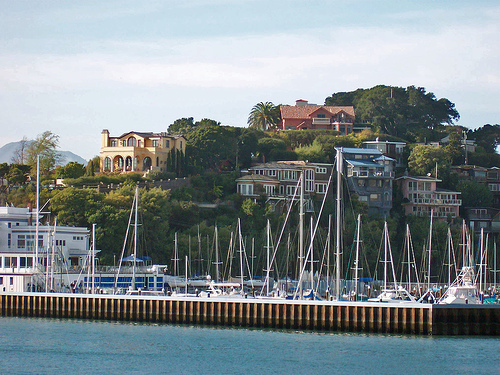 In Scott Call Jolley v. Chase Home Finance, Inc., the loan was for over $2 million to renovate a property in Tiburon, and was essentially a construction loan. The loan was originally with Washington Mutual, which went into FDIC receivership and acquired by Chase. Jolley said that WaMu lost the loan documents, which held up construction financing for 8 months, and then they ad significant disputes with disbursements. WaMu agreed to a loan modification, and was later taken over by Chase. Jolley defaulted, claiming that it was due to WaMu’s breaches of contract and negligence. Jolley claimed that Chase’s agent, on many occasions, encouraged him to complete construction because there was a “high probability” that Chase would modify the loan to avoid foreclosure. 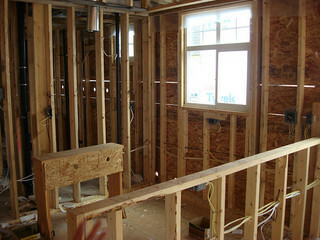 As a result, the plaintiff spent another $100,000 to complete construction. Chase denied the modification. In considering Jolley’s Fraud claims for misrepresentation, Chase claimed that the statements were just opinions. The court noted that opinions may be relied on when made by a party with superior knowledge, or when the opinion is expressed in a way that implies a factual basis which does not exist. Predictions are treated as opinion unless they imply knowledge of facts which makes the prediction probable. Regarding the Negligence claim, the court noted the rule that no duty is owed, but that this is only a general rule. Here, the plaintiff did not have any ability to protect himself in the loan modification process, as “Chase held all the cards.” Chase benefited from prolonging the loan renegotiation period & encouraging Jolley to complete construction allows a blameworthy interpretation. Additionally, Jolley was subject to “dual tracking,” which has since been made illegal in certain residential loans. Though this was not a qualifying residential loan, the court looked at recent changes resulting from the financial crisis. The federal government has adopted incentives for lenders to work with borrows on loss mitigation solutions. California has passed laws requiring lenders to work with borrowers, as well as other specific rules to protect borrowers. These recent enactments indicate a policy for requiring lenders to deal reasonably with borrowers in default to try to modify the loan. This policy indicates that courts should not mechanically apply the general rule of no duty. This decision does not create a new duty, but it may lower the threshold for borrowers trying to establish a duty. Its reference to policy arguments is directly applicable to a California homeowner’s claims against their lender, is a decision to be watched. In part 2 of this post, I will discuss Chase’s failed efforts to have the court take judicial notice of documents which it could not properly authenticate.